Off we went on our girls trip as I relocated from San Francisco back home to Los Angeles! Just mama J and me…and my car so packed that we could barely squeeze in. But oh so much fun ensued! 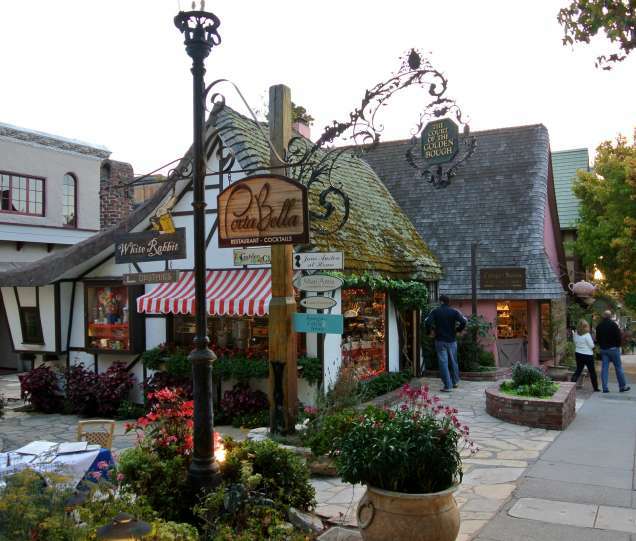 Our first official stop was Carmel, a beautiful little town with some great shopping. It’s the quaintest sea side town with lovely buildings of colors that blend with the sun and sky just like an English fairy tale. We didn’t spend a lot of time there but enjoyed walking around and enjoying the vibe. Some places to check out if we have a chance to go again would be the From Scratch restaurant and La Bicyclette. I’m a vegetarian and From Scratch has some yummy options. My mom loves French food and put that one on her list. And we would have liked to spend some time at the mission, but…until next time, Carmel! Back on the road to the 17 Mile Drive…There are just no words other than amazingly beautiful. While there is a fee of $10.25 per car to access the area, you get a great map so you can stay on course. And if you spend $35 at the restaurants, your fee is reimbursed…if you remember to tell them. We didn’t. You may know that this area is the home of the Pebble Beach Golf Tournament. In fact there was a tournament going on the day we were there! We arrived there just in time for lunch and decided we were starving. After a call to the customer relations folks to talk restaurants, we decided on Roy’s Restaurant. According to them, the views were magnificent. Oh my, we were seated outside overlooking the The Links at Spanish Bay golf course and the ocean. Simply unbelievable and stunning! You must check it out if you take the drive. Pictures don’t do it justice, and if I golfed, I would be a regular. How stunning is this view? And now, let’s talk lunch. 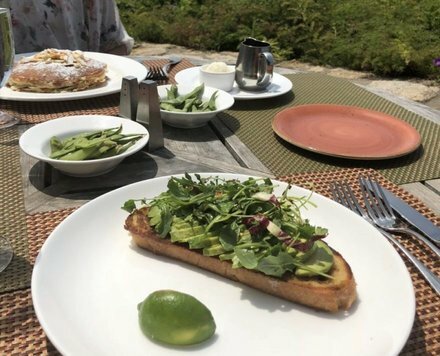 For me avocado toast…AH-mazing! For mom, the Banana Mac-Nut Pancakes. She barely shared a bite! It was that good. 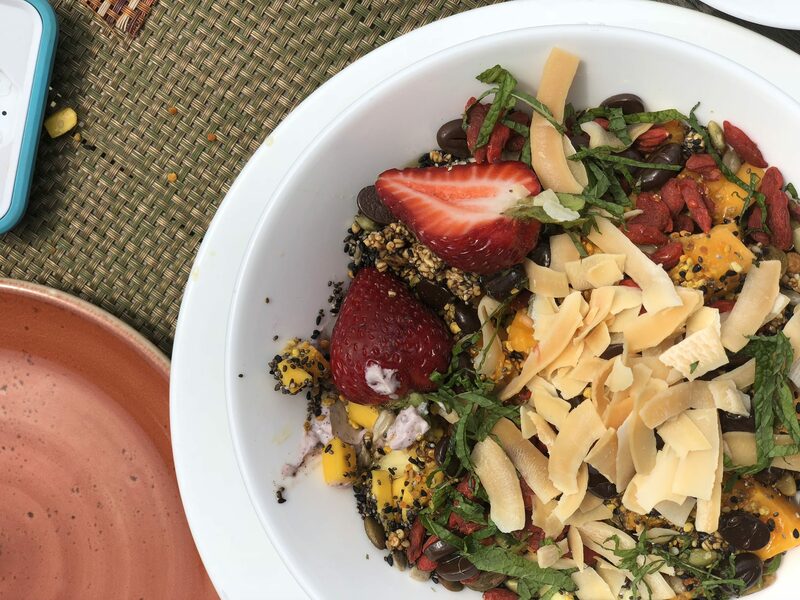 To stay a little healthy, we added the Tropical Fruit bowl with greek yogurt, acai, and lots of fruit. Yum yum yum! We happily hopped back in the car and headed out toward Big Sur. Armed with a paper copy of mile by mile list of the stops along the way, we were happy that we had that because, be warned…there is no cell service pretty much until you get to San Luis Obispo! It’s hard to know where to stop for sure because every pull off is another beautiful scene of rocky shores and crashing waves. Way…way….down below! I sat in the passenger seat a good part of the way and was worried I would be staring over the edge with no buffer, but it wasn’t that bad at all. A few moments are a little unnerving. We were very lucky as there wasn’t a lot of traffic, even though it was a Saturday. 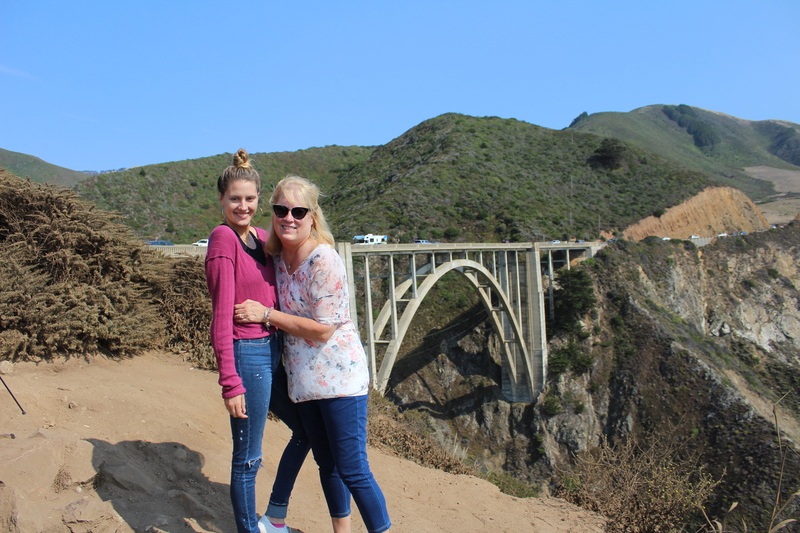 As we rounded a corner at one stop, there was a big crowd…The Bixby Bridge! Famous for shots from commercials and the show Big Little Lies. Of course we had to stop! Crashed some brand new newlyweds taking some of their wedding photos. Congrats to them! On the next trip, we will build more time in to do some hikes down to the beach. There were at least two spots that would have been ideal and our weather was amazing. You can see just how beautiful everything was from our pictures. 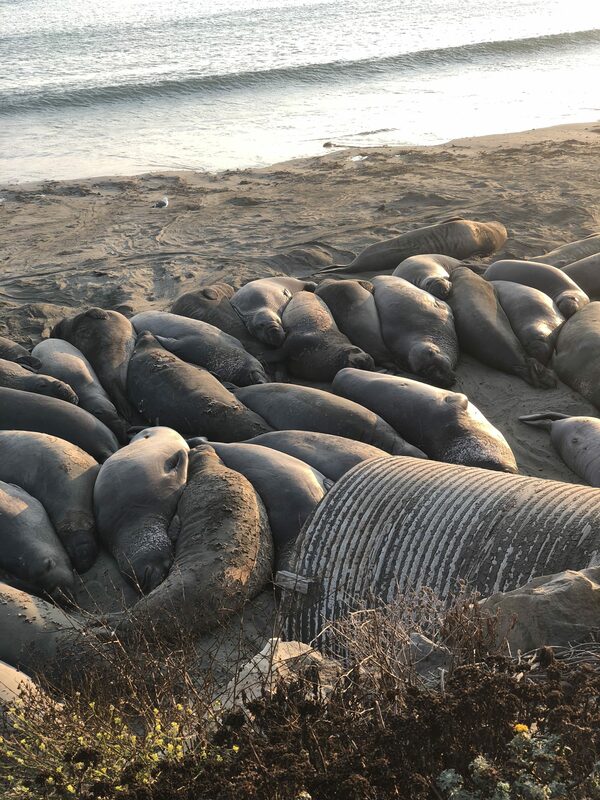 Our final stop before rolling into San Luis Obispo was to see the Elephant Seals. Funniest creatures ever! We just made it as the sun was just setting. My mom would have been crushed if we had missed them. Their elephant nose trunks and the snorting pig noises they make just made us laugh. It was like watching little kids fighting for their space. 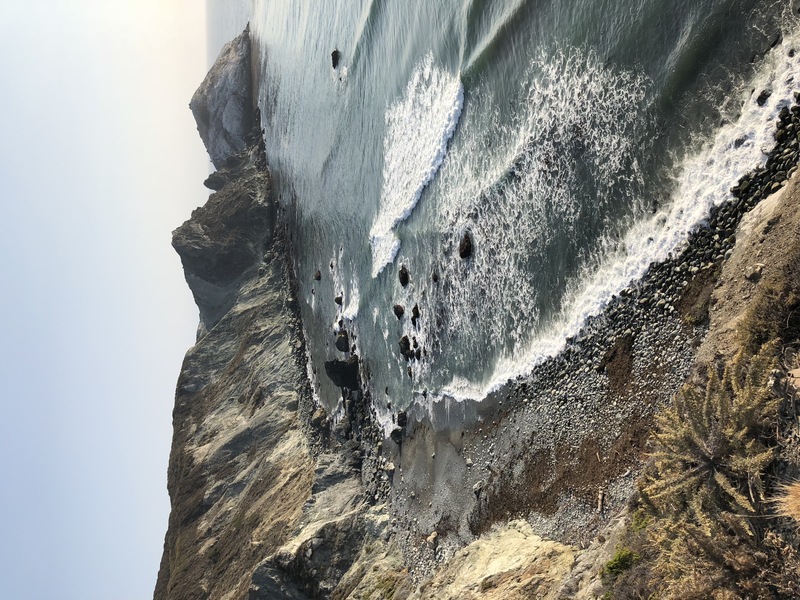 Next up….our stop in San Luis Obispo and on to Los Angeles! Stay tuned for part II! So so much fun! I can’t wait to go again!